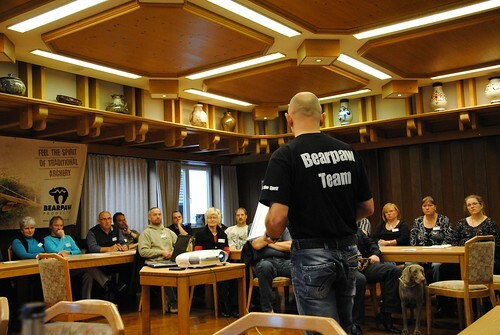 The fifth Bearpaw retailer training took place in Rossach last weekend. In two days that the retailers were here they were presented with a great deal of professional knowledge. Henry Bodnik and his team taught the retailers about new products as well as many other items from the current product line. 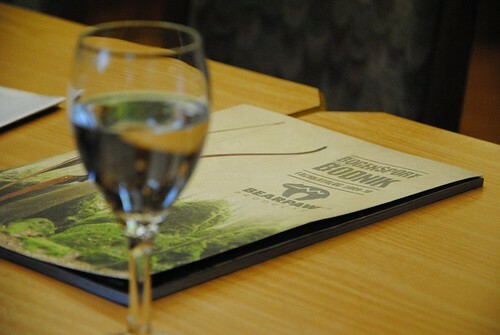 The presentation about the Bearpaw platform and the new media, as well as an exchange of information between the retailers themselves, filled the first evening and carried on into the night. On the second day there was a lot of new information about the Penthalon carbon shaft line and the new Dura arrow backstop nets presented by Henry Bodnik and Harald Fischer. After a typical Franconian lunch and a tour through the Bearpaw headquarters the retailers had the chance to test and buy items on-site. 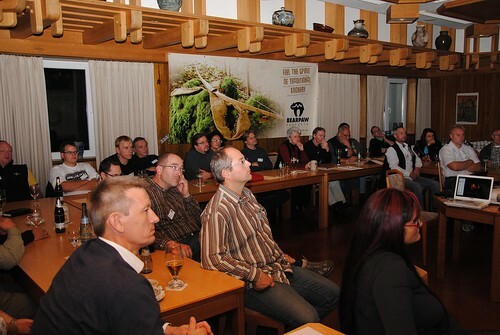 We would like to a give a big thanks to the 35 retailers that took the time and effort to come to Rossach and participate in the training. Until we meet again. Feel the Spirit 09 is out now!